July 15, 2018. We received a proposal from our contractor and the project cost was much more than we originally anticipated. The current cost is $200,000 without the benches. We met with our contractor, Gallino Construction, Inc to discuss the costs and it was explained to us that there are a number of reasons why the project is so expensive. One of the main expenses has to do with the site. The area that the proposed Meditation Garden will go in is very “tight” meaning there is not much room to work. Because of the bridge approach and the river trail surrounding the area there is no place to stage heavy equipment or materials. As for the heavy equipment, that needs to be brought through the adjoining Arboretum pathway. That path is made of Decomposed Granite (DG) and it is okay to drive over it. The bridge approach though is made of rammed earth and will hold the weight of a Fire Truck but will not hold the weight of a Concrete Truck. Rammed earth is not repairable if damaged so we can’t put equipment on it. Therefore, concrete will have to be pumped in and special care will have to be taken to wash out the hoses and trucks and remove that material from the job site. The site preparation alone is estimated at $60,000. Another major expense is laying the stones themselves. Stones are irregular in shape and it is a labor intensive job to place them. It is, however, what makes the project the beautiful and unique. The masonry cost is estimated at $75,000. The good news though is that now that we have a firm cost we can seek grants, funding, and donations with this amount in mind. We have raised approximately $35,000 so far and have a lot of community support for the project so we just need to keep moving forward. We appreciate everyone’s continued support! June 6, 2018 – We raised over $5,000 in the “A Community Thrives” grant competition – Thank you to all our supporters near and far – but unfortunately were not chosen for a grant. In the meantime, we are still raising funds. 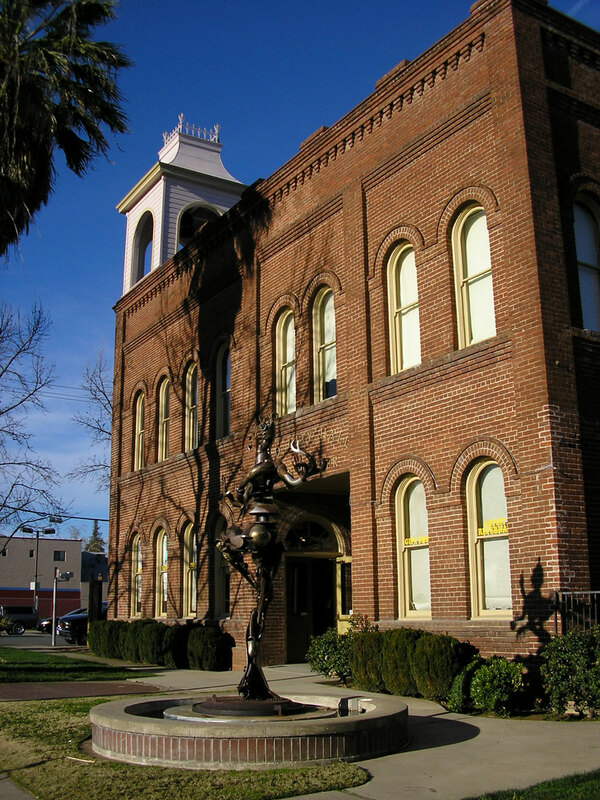 You can donate through the Shasta County Arts Council or send money directly to us. See below for information. March 18, 2018: Redding Tai Chi has been approved by USA TODAY Network to compete in the 2018 “A Community Thrives” (ACT) grant competition. 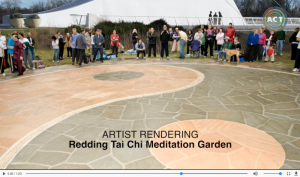 This year, instead of votes, we need donations to show support for the project and qualify for the grants which will help us build the Tai Chi Meditation Garden. Fundraising will start on Monday, March 19th at 11:59am ET (8:59am California time) and ends Friday, May 11th, 2018 at 11:59am. If everyone gave as little as $10.00 it would make a huge difference in our standing to be considered for the grant. Please be a part of this project by donating on the CrowdRise site. Your donation will go to the Shasta County Arts Council (SCAC) who is our fiscal sponsor. 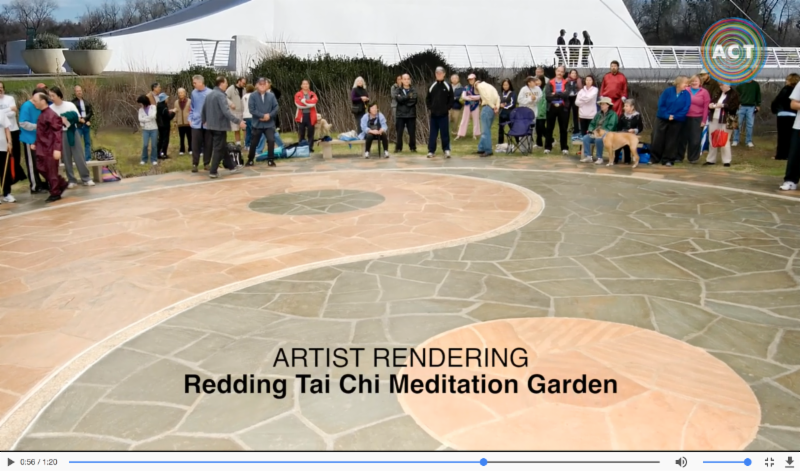 If you are writing a check, please make it out to “Shasta County Arts Council” and in the memo line please write: “Tai Chi Garden Project”.